Hogeweyk could be any Dutch village. They have a grocery store, a post office, a bar, and even a theater. The village’s 152 residents come and go freely, perhaps stopping to chat with friends and neighbors as they go about their day. But this isn’t an ordinary village. For one thing, the workers at the shops and restaurants are all registered nurses. Cameras preside over every corner of the village, and there’s only one way in or out. Because Hogeweyk’s residents have one major thing in common: they all have Alzheimer’s or other forms of severe dementia. 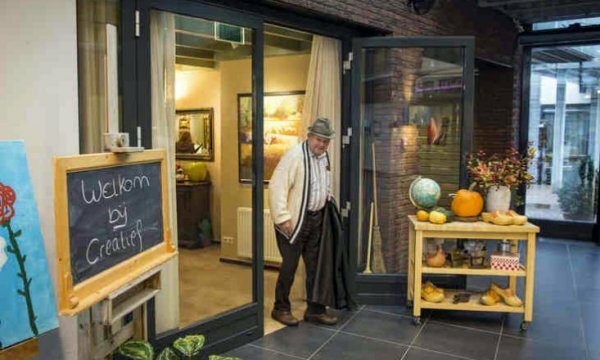 The idea for this village came from veteran nursing home worker Yvonne van Amerongen, who was saddened to realize that she would rather see her parents pass suddenly than watch them live out their lives in a facility like the one where she worked. 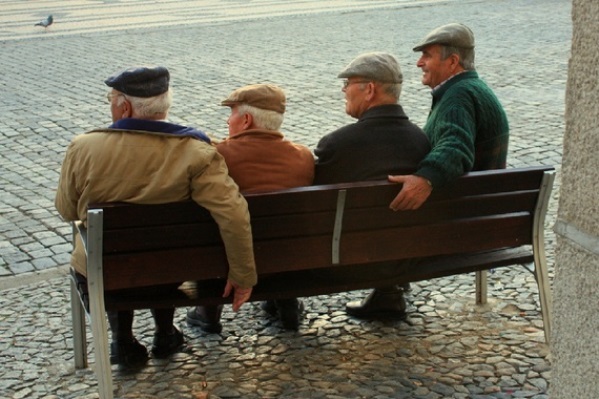 Ms. Van Amerongen partnered with the Dutch government to obtain funding for this unique experiment in improving the lives of dementia sufferers. 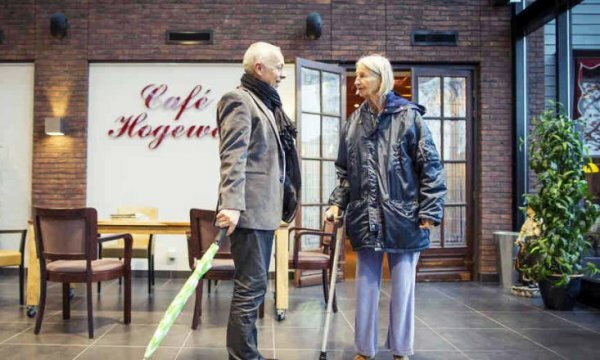 Hogeweyk functions as full time “reminiscence therapy,” which draws on patients’ own lives to help them cope with the cognitive and behavioral symptoms of dementia. Each resident has their own private room in a house shared with six to seven other adults, who are grouped together based on similar backgrounds and interest. 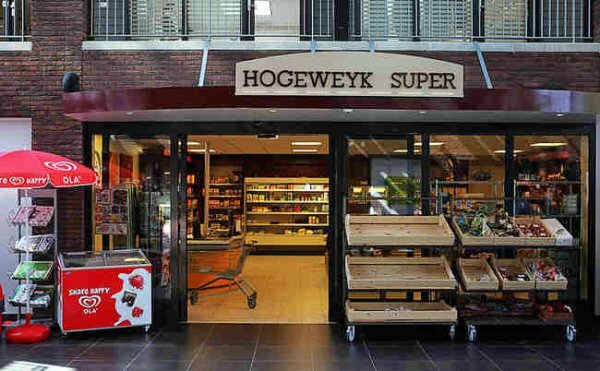 The community aspect of Hogeweyk is particularly important. 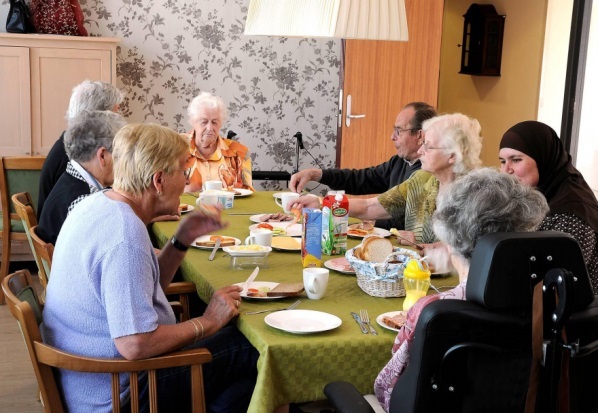 Studies show that isolation—which is common in medical nursing homes—can actually decrease the production of myelin in the brain. Myelin is a fiber that’s crucial to maintaining nerve cells in the brain and elsewhere. Decreased myelin production is just physical proof of what many nurses already know: isolation makes the cognitive and behavioral problems associated with dementia a whole lot worse—seriously diminishing these patients’ quality of life. Instead of being confined to their rooms, residents move freely throughout the village, protected by the watchful eye of the nursing staff, who dress in plain clothes to keep the atmosphere as “normal” as possible. Cameras throughout the village monitor the residents to make sure they’re safe, while still allowing them a sense of freedom and independence. 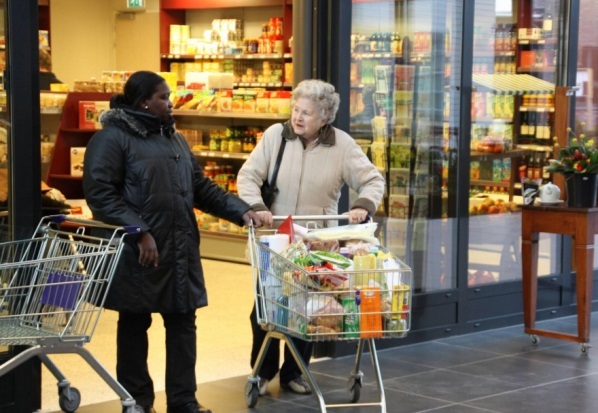 Thanks to pre-paid financial plans, residents can even go shopping or out to eat without worrying about their finances, which is often one of the most difficult areas of life for patients with dementia to manage. One of the coolest aspects of Hogeweyk, however, is its unique approach to interior décor. Each house is furnished according to the period when the residents began to lose their memories. Some homes are furnished in 1970s décor, while others are decorated to feel like you’ve stepped right into the 1950s. This helps residents feel more comfortable, without having to cope with confusion over modern items they may not recognize. Unlike other dementia facilities, Hogeweyk’s nurses don’t try to correct residents when they’ve misremembered the date or some fact about their lives. Instead, the staff engage with them on whatever level they’re at. Instead of viewing them as medical patients who can’t be trusted on their own, the staff accepts residents for who they are—dementia and all. 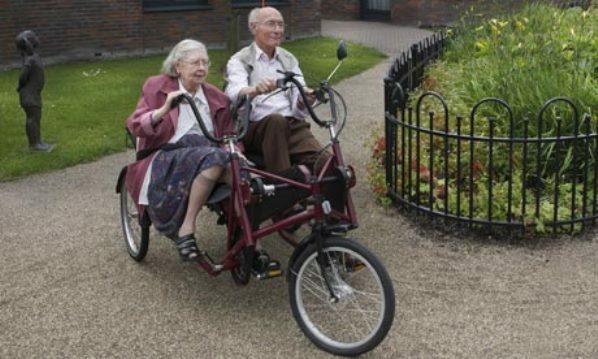 The respect and increased independence inherent in this treatment model makes for a radically higher quality of life. Hogeweyk’s success has inspired the creation of similar villages in the U.K. and Sweden. We hope the dignity and respect this village provides becomes the norm for dementia treatment all across the globe!